Inspired by the promise of rebirth and new beginnings, the Hardy Four Seasons Spring Cognac is a wonderful tribute to the turning of the seasons. Everything about a Cognac from this house is both elegant and extravagant, and the Hardy Spring Cognac certainly delivers. 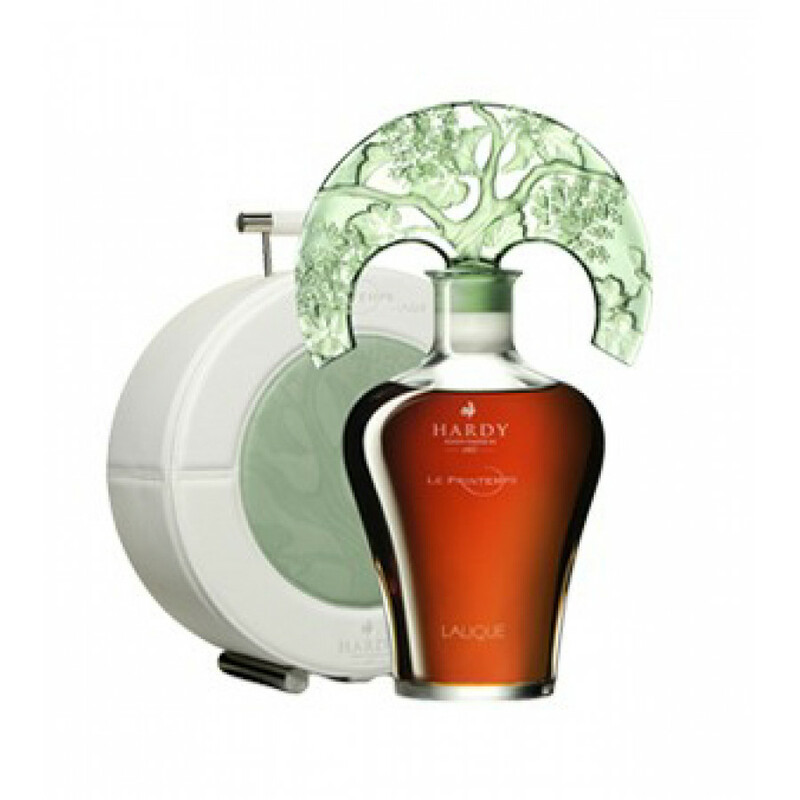 The most recognizable element of the Hardy Spring Cognac is the carafe designed by Marie-Claude Lalique. There are only a limited number of carafes available, so once this precious nectar is gone, that’s it. This is an exceptionally rare Cognac. It is an assemblage of small batches of eaux-de-vie that come from the Premier Cru of the region that Hardy preserved at the end of the Second World War, the Grande Champagne. The eaux-de-vie, therefore, predates the phylloxera crisis that struck the region. Its unique geological composition thanks to millions of years of fossilization creates optimal soil conditions for growing grapes.,and the high limestone and chalk content means that the soil benefits from exceptional drainage, alongside optimal sun exposure. Positioned in the center of a round box made of white leather and green pastel, it comprises a clever opening system from the front of the box. The Spring Cognac by Hardy is the essence of originality. With a feminine silhouette, the decanter perfectly shows off the amber of the spirit, and the cap is etched with almond green reflections. It is a tribute to the creations of René Lalique at the turn of the twentieth century. To appreciate the fine age of this Cognac, enjoy it neat. Find out more about the fascinating story of Hardy Cognac on our blog. See the other Cognacs that we have available in this series: the Summer and Autumn.